Microsoft PowerPoint is the most common presentation software. In the office, this software can be used for a variety of presentations. With its versatility, PowerPoint is a must for any office. PowerPoint presentations utilize both audio and visual techniques, making for easier understanding. Normal teaching and training is interactive and more effective by using PowerPoint presentations instead of simple lectures. Many executives and managers use PowerPoints for this reason. Executives use this as a strategy to increase sales. Using PowerPoint in front of a potential client, though an easy program to learn, shows that you are up with the times. Plus, projecting charts and graphics that all can see also makes the presentation more interactive for the client. 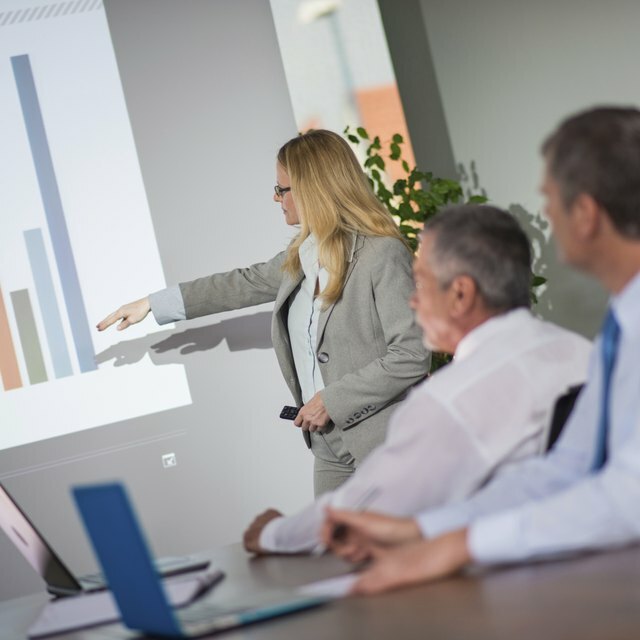 PowerPoint is also used for many in-house presentations because it is much cheaper than making copies of reports and charts for the entire staff. This saves the business both time and money.